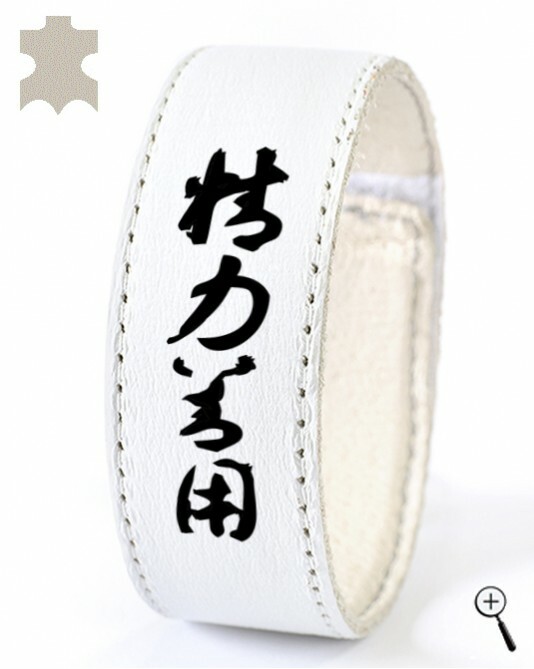 The white leather band for wrist with built-in magnet and inscription of kanji "maximum efficiency in energy use" is made of white leather. The inscription is the first principle on which Kano Jigoro builds Judo as a sport and life philosophy. Natural lining of the band for wrist with magnet imbibe the sweat and don't irritate the skin. The lining the the band for wrist can be cleaned from the salt of sweat and other contaminants with cool water.